Father Joe’s Villages on Tuesday announced a temporary increase in the number of shelter beds it is providing as the first rainstorm of the season continues. During especially cold and wet weather, Father Joe’s will expand its overnight services in partnership with the city Housing Commission. Its East Village building at 1501 Imperial Ave. has space to provide shelter for 250 people. The nonprofit opened its doors Monday night to provide cots for the homeless and also provided them with dinner and breakfast, according to deacon Jim Vargas, chief executive of the nonprofit. 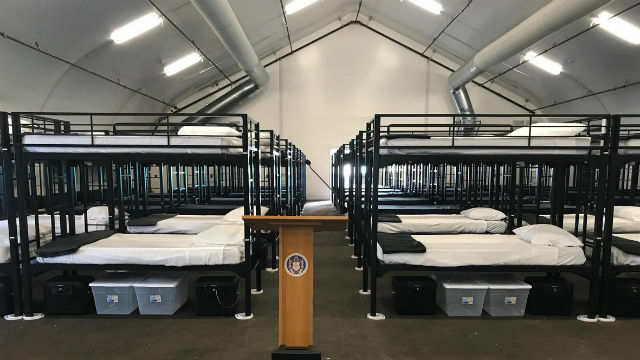 The shelter will be open again Tuesday night, and Father Joe’s officials expect to offer the increased number of beds several more times during the rainy season. The shelter will generally open when it falls under 50 degrees at night or if there is a significant amount of rain, Vargas said. “The reality is we need to do better with those of our neighbors who happen to be on the streets,” Vargas said. “We as a community really need to come together and provide more housing” on a permanent basis. The nonprofit already provides shelter to some 2,100 people in San Diego each night, officials said.